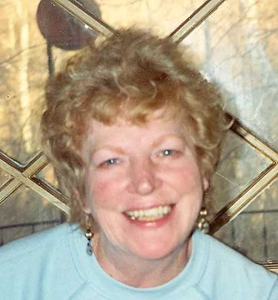 Newcomer Family Obituaries - Patricia O'Connor 1935 - 2019 - Newcomer Cremations, Funerals & Receptions. O'Connor, Patricia A. age 83, of Hamilton, Ohio passed away on Sunday, January 27, 2019. She was born in Hamilton, Ohio on July 16, 1935 to James and Irene O'Connor (nee Lagedrost). She was preceded in death by her parents, James and Irene O'Connor; siblings, Mary Jane O'Connor, John O'Connor, James O'Connor, Catherine DiGiorgio, Robert O'Connor and her faithful companion dog, Mandy. Patricia is survived by her sister, Alice Kuhlmann, many loving nieces, nephews, devoted life long friends and her cat, Sparkles. A special thanks to Cari (Mike) Carmack who walked Pat thru to the end of her journey. A visitation will be held from 11:00 am - 12:00 pm with funeral ceremony to follow at 12:00 pm on Friday, February 1, 2019 at Newcomer Cremations, Funerals & Receptions - Northwest Chapel, 7830 Hamilton Avenue, Cincinnati, Ohio 45231. Burial to follow at St. Mary Cemetery, 4030 Pleasant Avenue, Hamilton, Ohio 45015. In lieu of flowers, contributions may be made in Pat's memory to Pets in Need of Greater Cincinnati. Add your memories to the guest book of Patricia O'Connor.